Designed for fixing plasterboard to metal studding or wooden battens quickly and easily. Its bugle head with Phillips recess allows the screw to be driven to the required depth without damaging the board surface. Driver bit included. 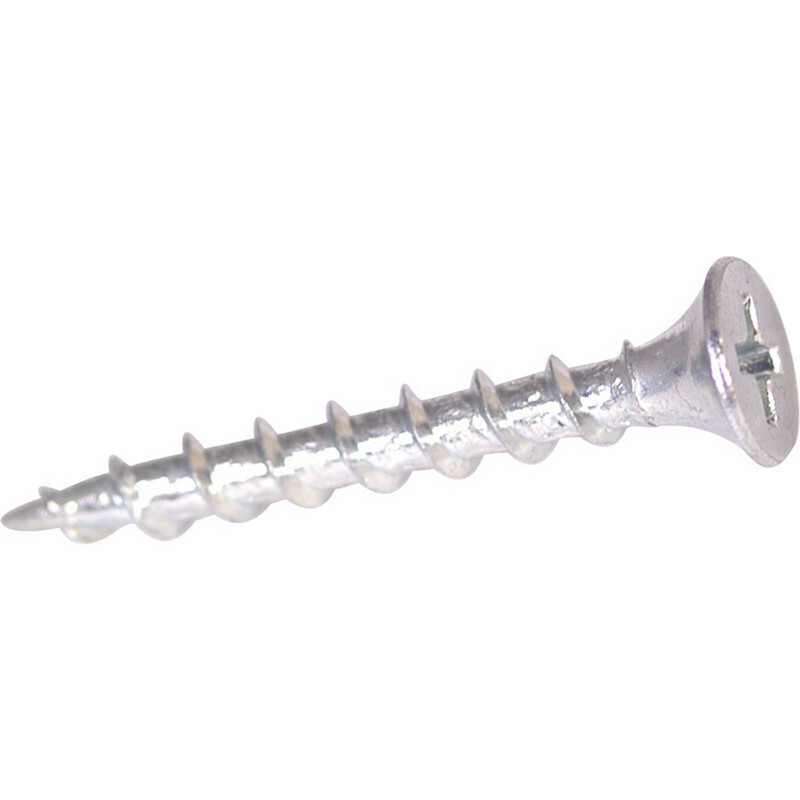 Drywall Phillips Screw 3.5 x 50mm (1000 Pack) is rated 4.1 out of 5 by 10. Rated 1 out of 5 by Harris from Poor quaility control I have bought many of these in the past and have been delighted with them, but lately the majority of the screws are bent in the box and the heads snap off when screwed in. Would not recommend until they sort out their quality control which seems to have dropped hugely. Rated 4 out of 5 by MICO from Good value I used these to fix a metal stud wall. Took a bit of careful driving to get through the studs, but did the job. Rated 5 out of 5 by CDS1 from A great drywall screw Great value for money plasterboard screws.. Not even sure I had a single dud in the box. Rated 5 out of 5 by Sausages from Big box of screws This is great value and can do a few rooms with a box. 3.5mm is only really suitable for light joinery work, but ideal for plasterboard etc. When working with 12.5mm plasterboard, the 45mm length of this screw is about right to get a sensible depth into the wooden strut behind in most cases. Rated 5 out of 5 by Jonny Boy from Good product. No little metal splinters in my finger tops that I got from buying the cheaper black ones!